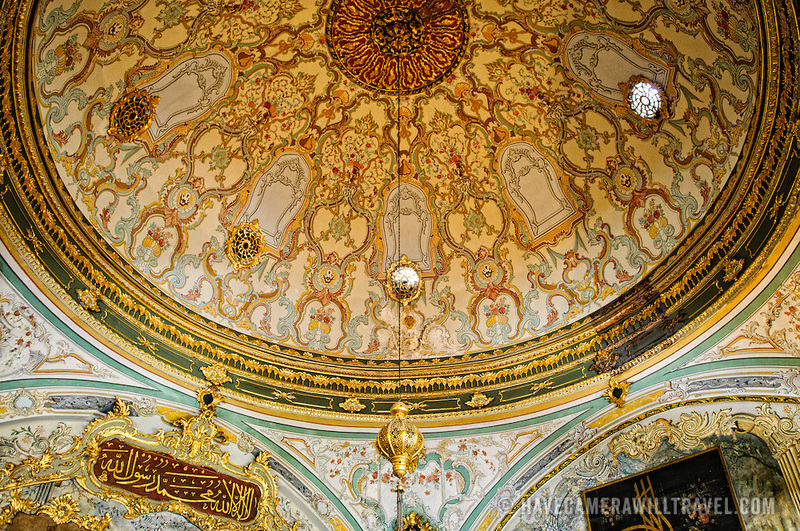 Ornate decorations of the Imperial Council building (in Turkish: Dîvân-ı Hümâyûn) inside the Topkapi Palace in Istanbul. This was the chamber in which the ministers of state, council ministers (Dîvân Heyeti), the Imperial Council, consisting of the Grand Vizier (Paşa Kapısı), viziers, and other leading officials of the Ottoman state, held meetings. It is also called Kubbealtı, which means "under the dome", in reference to the dome in the council main hall. It is situated in the northwestern corner of the courtyard next to the Gate of Felicity.